Majestic Templates V.3 Modern Edition JV Page. 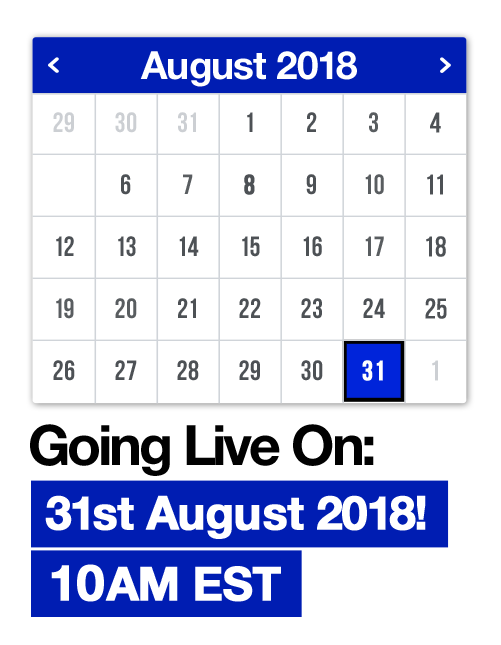 Going live this 31st August 2018, Early Bird Starts at 10AM EST! What is Majestic Templates V.3 Modern Edition? 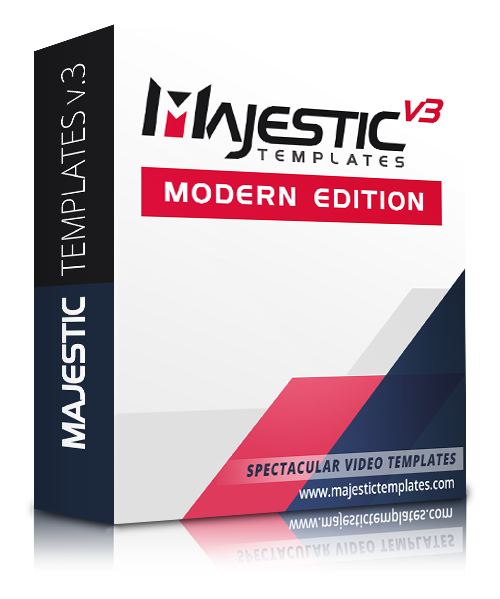 Majestic Templates Modern Edition is a brand new PowerPoint video creation package packed jam packed with the finest creative video templates that allow your customers to create dazzling videos, presentation, Facebook cover videos and many other creative contents easily using PowerPoint. The unique part of Majestic Templates Modern Edition is all the designs are created with modern flair and designed with modern colors then meshed with ultra-creative animations that are perfect for today’s modern and contemporary design age. Although the market is filled with many PowerPoint templates related product but the market is lack of modern style designs so Majestic Templates Modern Edition complements this perfectly well. Upgrade Version X2 more video templates and developer rights. The ultimate PowerPoint video templates and animated slides membership. 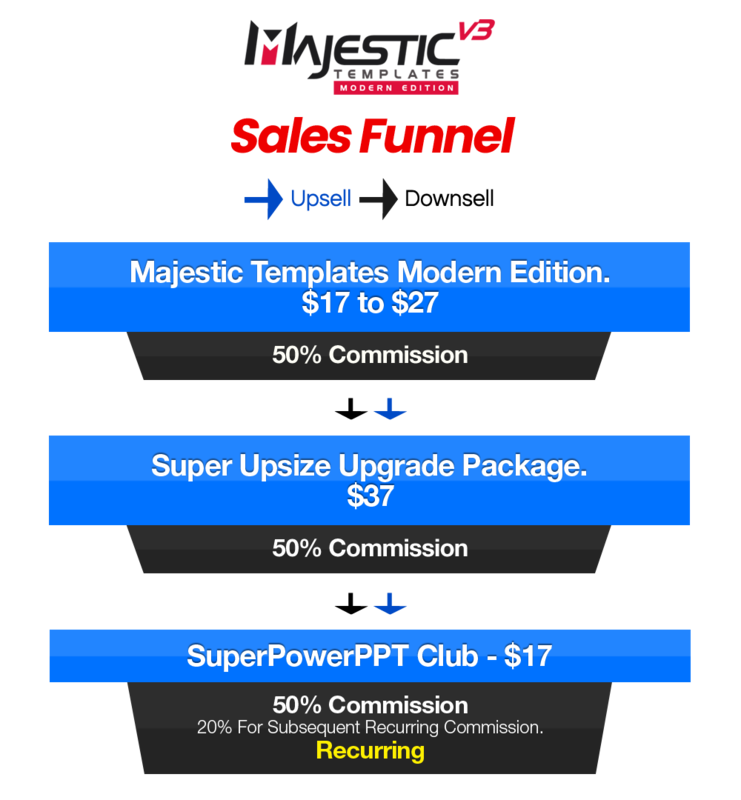 Monthly recurring commision, first month 50% then subsequent commission 20%. Very high retention rate. * Product will goes live on the 31st August 2018 at 10AM EST. * There will be an early bird sale which is the dime sale, product price will increase with each product sold. There’s a new product that just came out that I’m excited to tell you about. It’s calls Majestic Templates Modern Edition, yes these are video templates made for PowerPoint and I know they are quite a lot of these days but this one is different, and the values packed in this is totally worth your time. The video templates in the Majestic Templates Modern Edition are unique because all the templates in the package are created with modern flair and designed with modern colors then meshed with ultra-creative animations that are perfect for today’s modern and contemporary design age. * Modern and contemporary video templates. * Sleek modern Facebook cover video templates. * Dazzling contemporary style presentation templates. The design and the animations they put into the Majestic Templates Modern Edition is absolutely over the top and I’m not exaggerating, these are some of the finest video templates I have seen for quite some time. So definitely put this one in your check out list because the sheer values in this are seriously not to be missed, it’s also on dime sale where the price is going up with each product sold you need to act fast to secure low price and currently the price is still TINY for what you will get. Check out Majestic Templates Modern Edition here now! Yes you can create sleek videos easily without having to fiddling around with expensive, complicated or video software with inferior functionality! Introducing Majestic Templates Modern Edition, collection of some of the finest video templates that allow you to create world class video or presentation using PowerPoint easily. The Majestic Templates Modern Edition is definitely one of its kind, design and the animations they put into the package is definitely over the top not to mention the sheer values you are getting. I reciprocate HARD for my JV partners! Just check out some of the promotion I did recently below. So you are not only making tons of commissions from my launch BUT I got your back too if you need my help to push your launch in the future! Need anything? Let’s get in touch! Or shoot me an email below…..